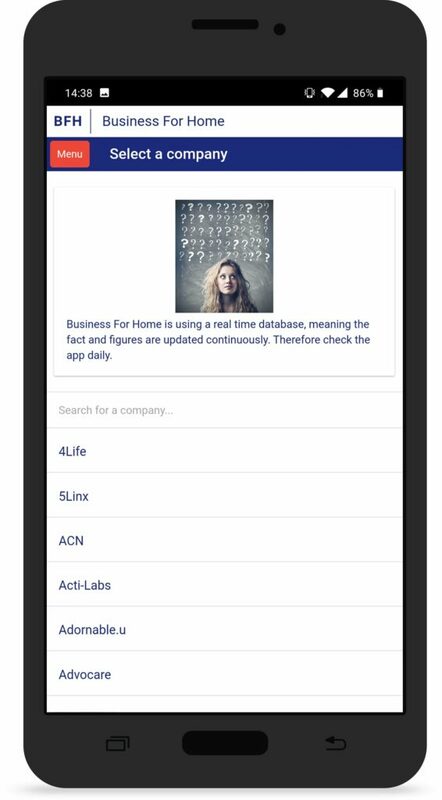 The Business For Home app delivers Direct Selling news, company analysis and market data. 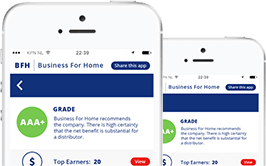 Business For Home, the global leader in Direct Selling News, has announced the release of a brand new Free mobile app to support its large and growing global community of Direct Selling Professionals. Version 6.0 is available which is a Business Intelligence Tool for networkers and corporate executives. 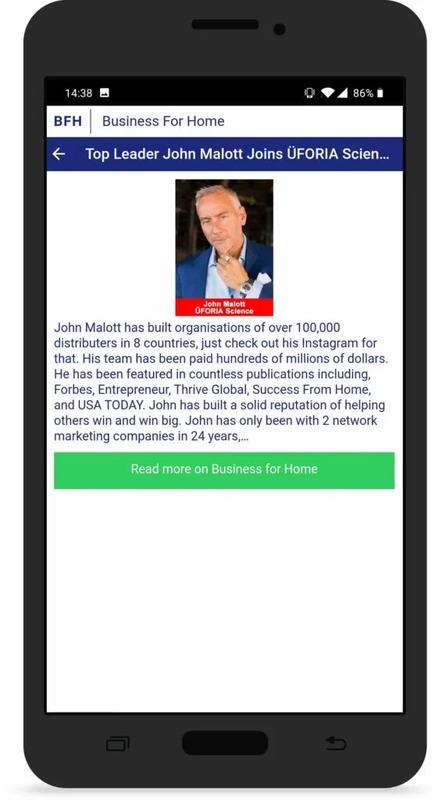 The new Business For Home app will allow the global direct selling community to follow the news the moment it is published and is a major step forward. 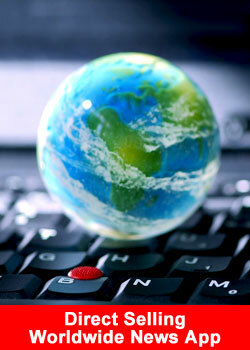 A real-time database is used meaning the company data can be updated anytime. 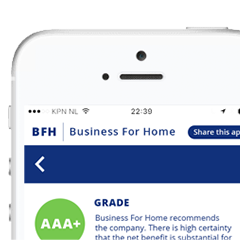 Business For Home app delivers breaking news, company analysis and market data fast; check the screenshots below. Subscribe to company specific notifications – news alerts. The company revenue 2015, 2016, 2017 and 2018 when available. 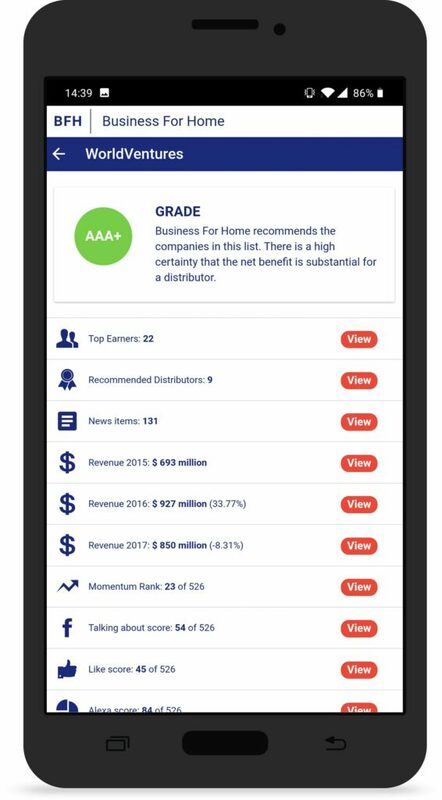 Per year, the Business For Home website receives 4 – 5+ million visitors from all over the world with the majority being Network Marketing professionals with approximately 25% visiting the website looking for a new or additional opportunities. “Our growth over the past 5 years has been nothing short of extraordinary,” remarked Dini Noorlander – CMO. 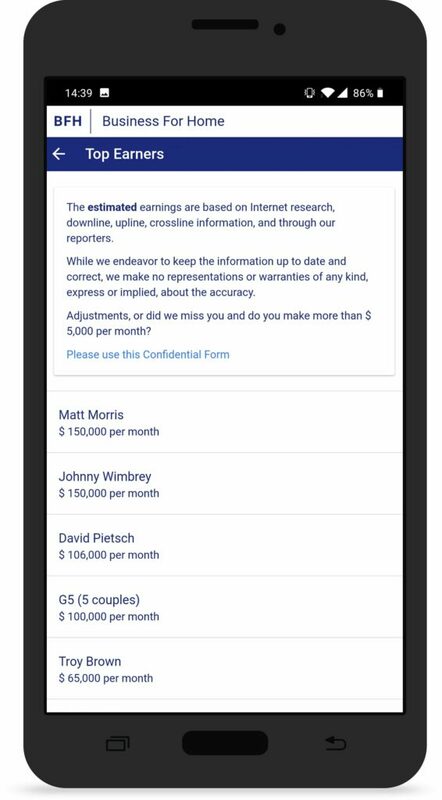 “We believe email will become a legacy, our app is much more faster. In a way, we are catching up to the momentum we’re already experiencing – momentum which by all projections will continue to increase over the coming years”. Approximately three times a week a mailing is distributed to close to 100,000+ worldwide subscribers. 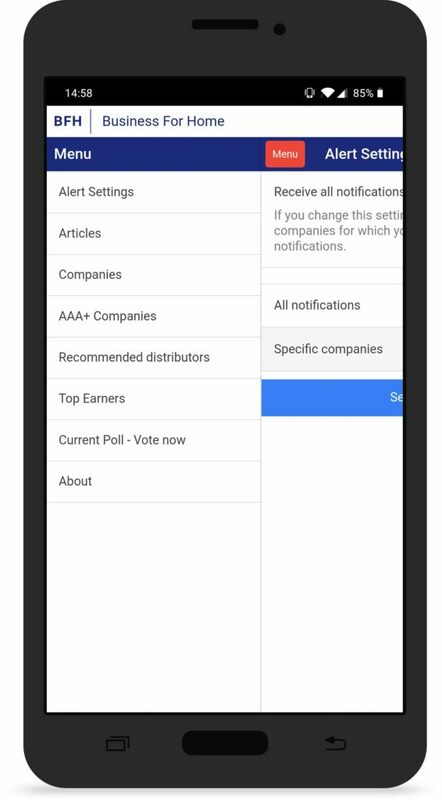 On average the website is serving 12,000 – 15,000+ visitors per day, with all time daily highs of 70,000 visitors when “Breaking News” occurs or Poll voting takes place. 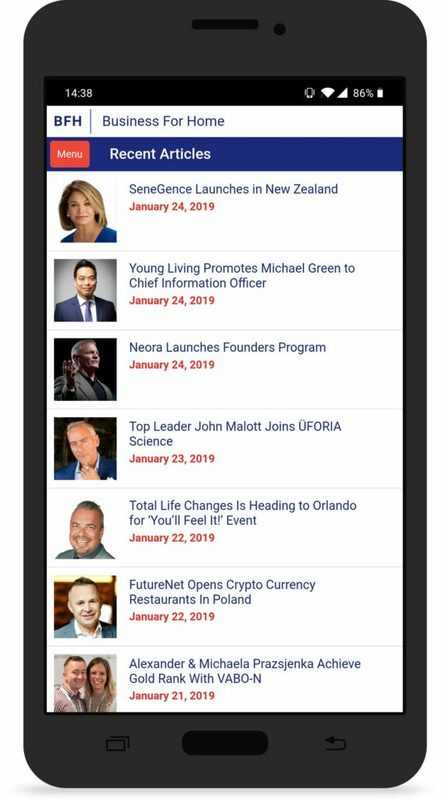 Get Our FREE Direct Selling Newsletter, already 100,000+ Worldwide Subscribers!